Best Swim School in Wellington ! Aquazone Swim School in Wellington provides quality swimming lessons for children and adults all year round in heated indoor swimming pools located at Miramar, Newtown, Kilbirnie & Freyberg. AQUAZONE Wellington offers infants and toddlers (9 months to 3 years old) swimming lessons on Tuesday and Friday mornings at Miramar. 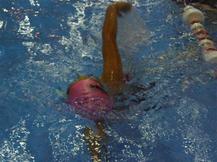 AQUAZONE offers deep water classes which are open to confident swimmers who can already swim the four strokes. Sessions are 45 minutes and run on Saturdays at Freyberg pool or on Mondays at Kilbirnie pool. Find out more. 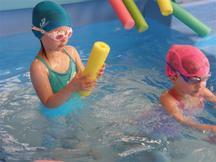 AQUAZONE Wellington offers pre-school swim lessons (30 minutes) which cater for all learners between 3 and 5 years old. AQUAZONE Wellington offers school age swimming lessons every weekday after school and weekends. We cater for learners from 5 to 11 years old at Miramar & Newtown. Aquazone pool parties are great fun all year round and are best suited for 5 - 10 year olds. You have exclusive use of Miramar pool which is indoor and heated so the weather will not affect your plans!